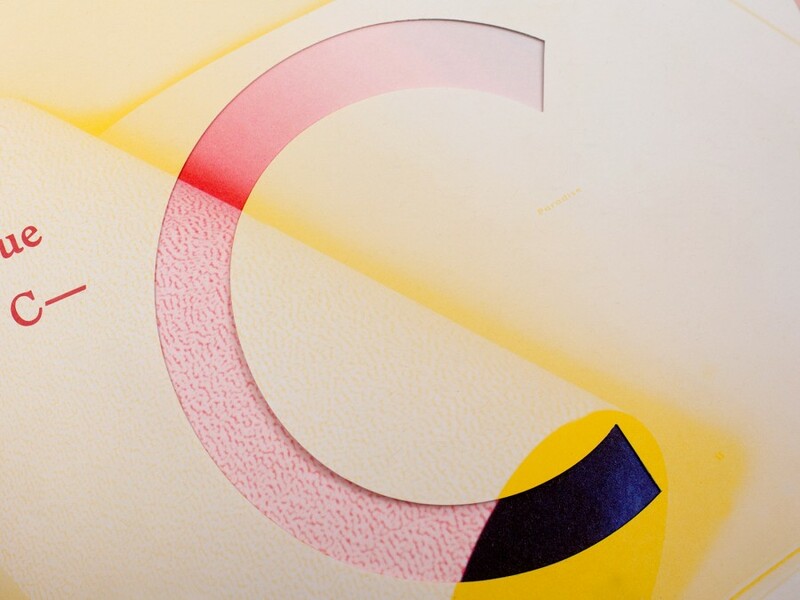 into the practices of our favorite letter-makers. 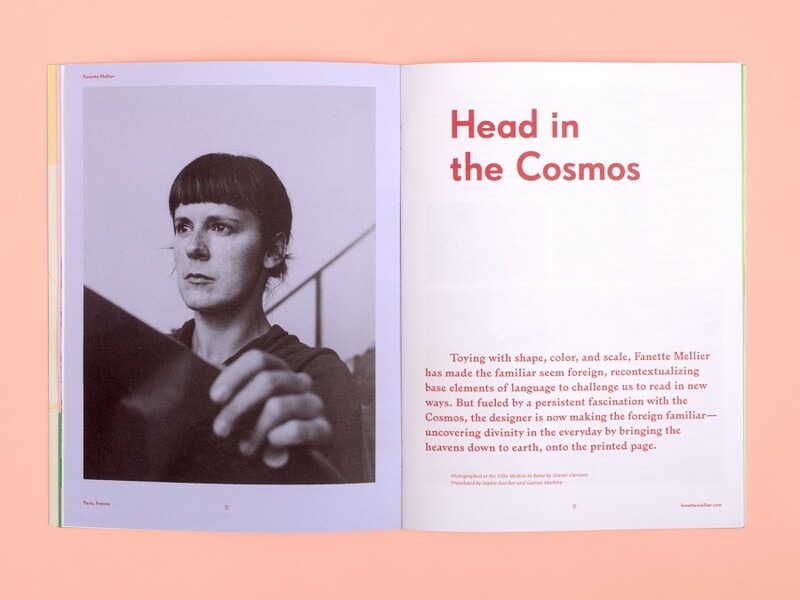 The first in a series of half issues created to examine tangential subjects introduced in our full issues but not explored in detail in their pages. 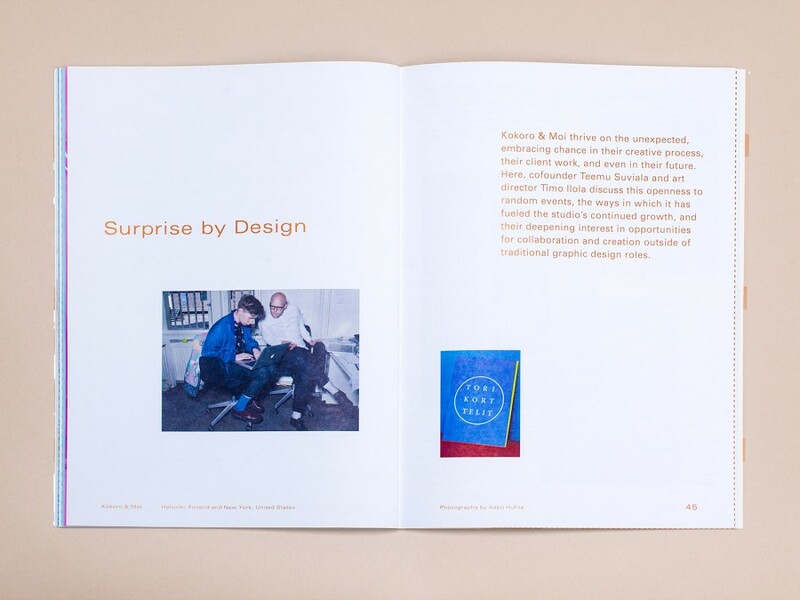 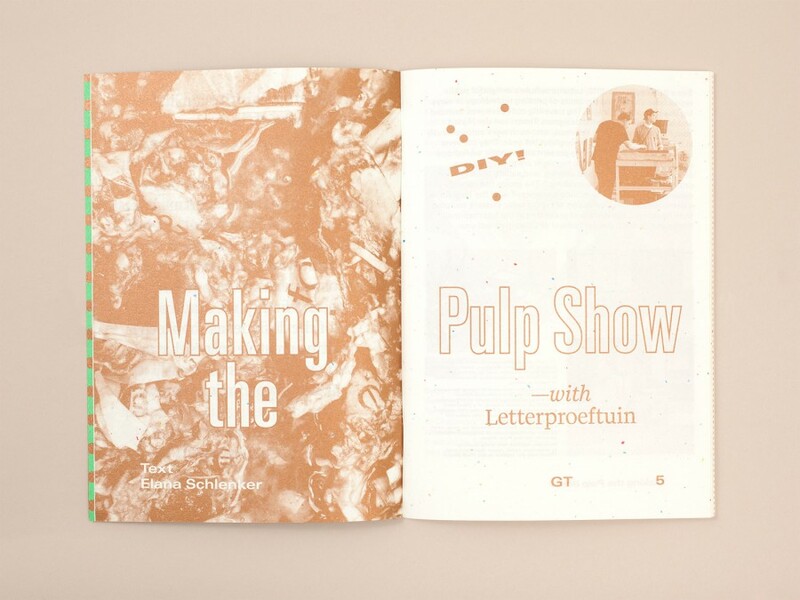 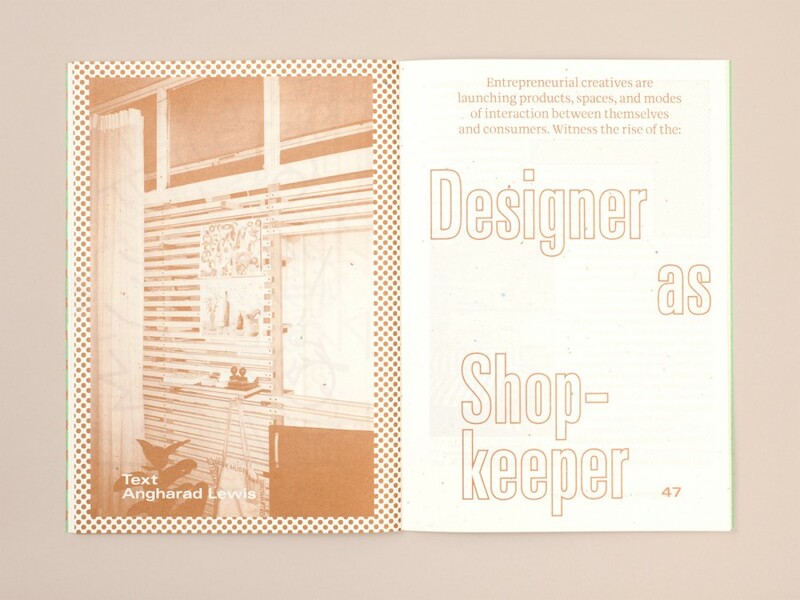 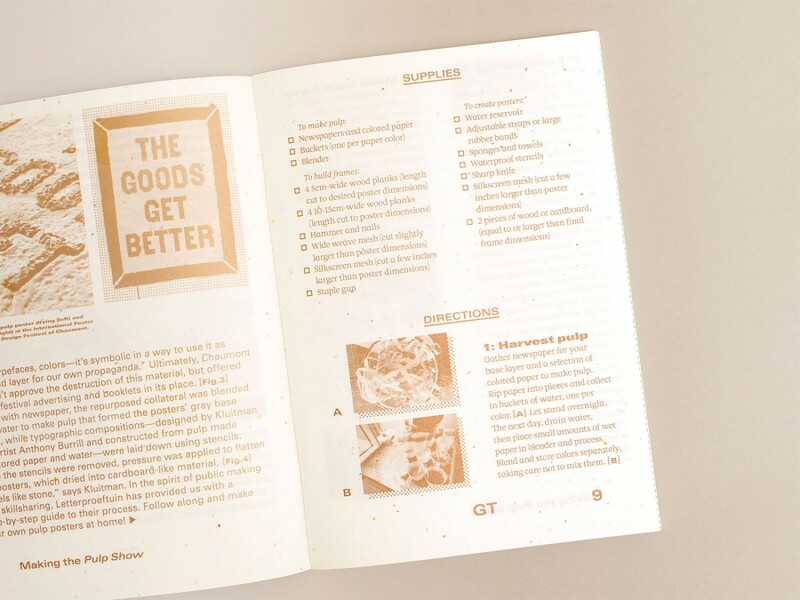 In Issue 4.5, we reunite with design collective Letterproeftuin; examine the impact of Enzo Mari’s work in the wake of contemporary open-source design; chat with Andrea Hyde and Eric Price; celebrate Corita Kent's ever-inspiring Rules and Hints for Students and Teachers; and examine the rise of the designer as shopkeeper. 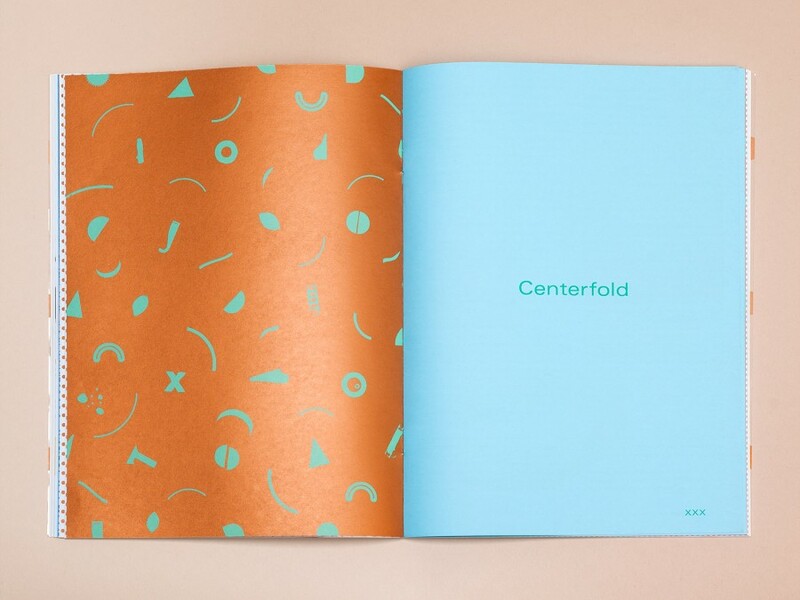 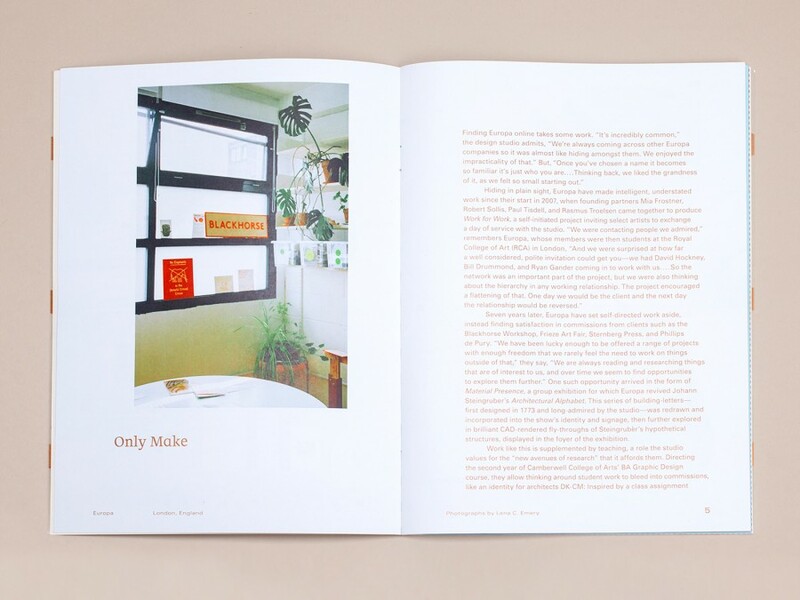 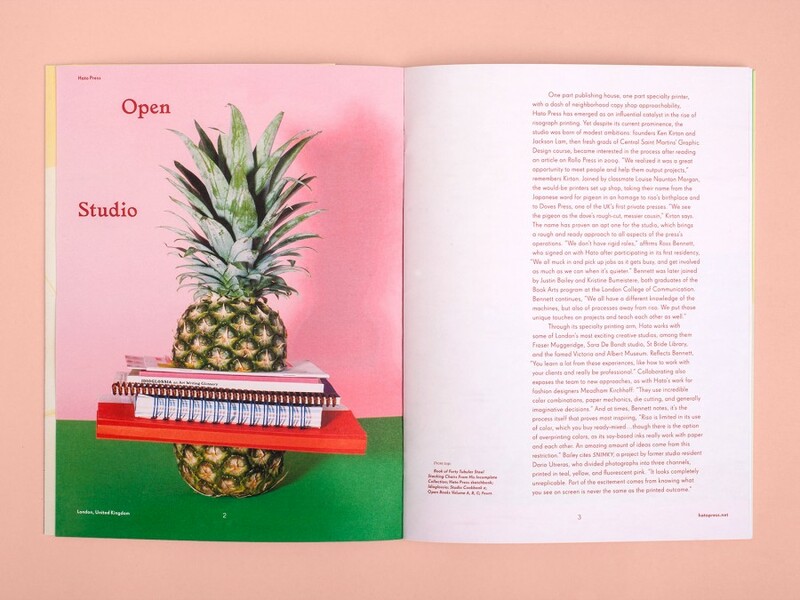 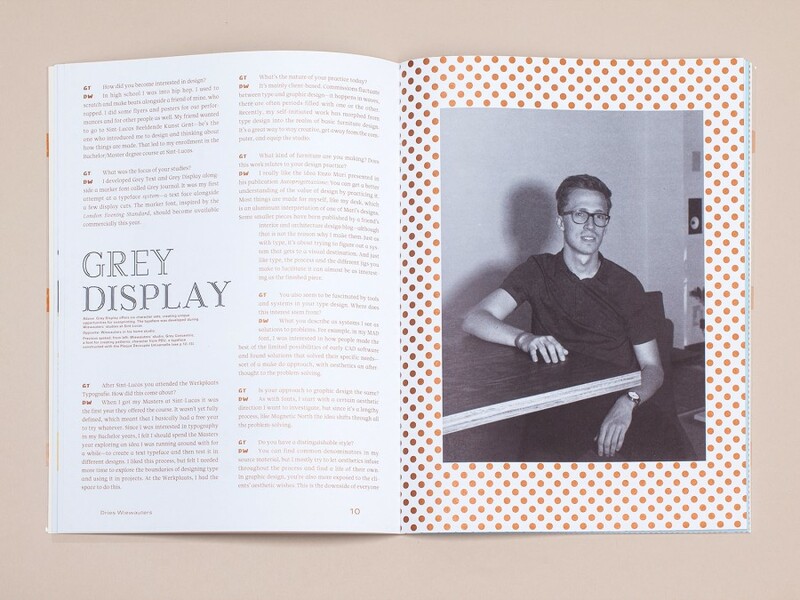 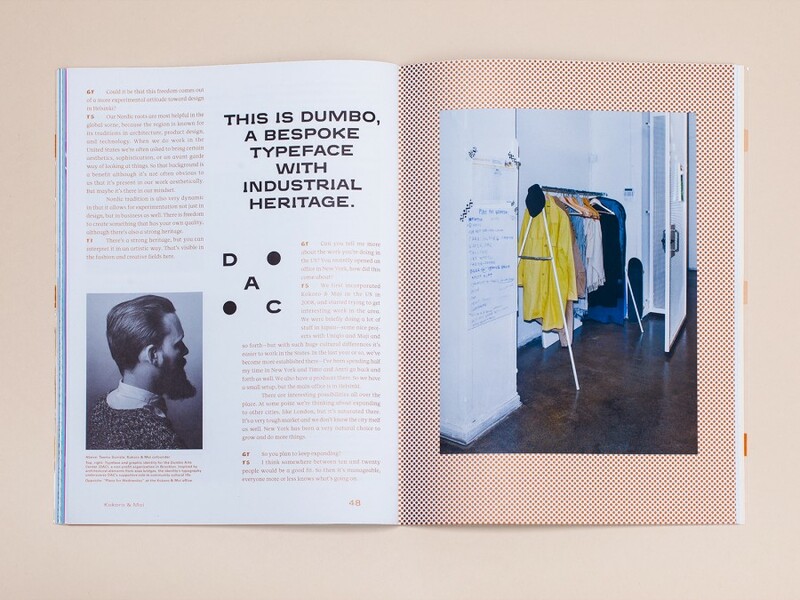 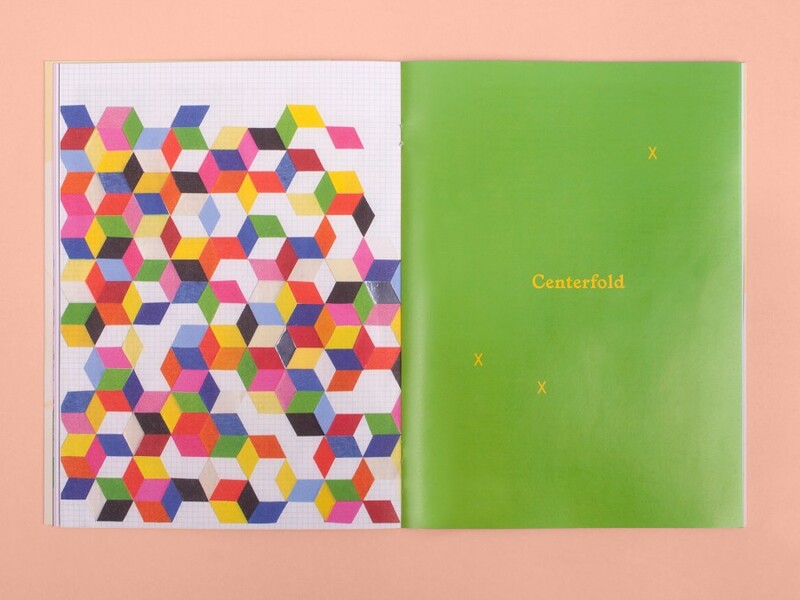 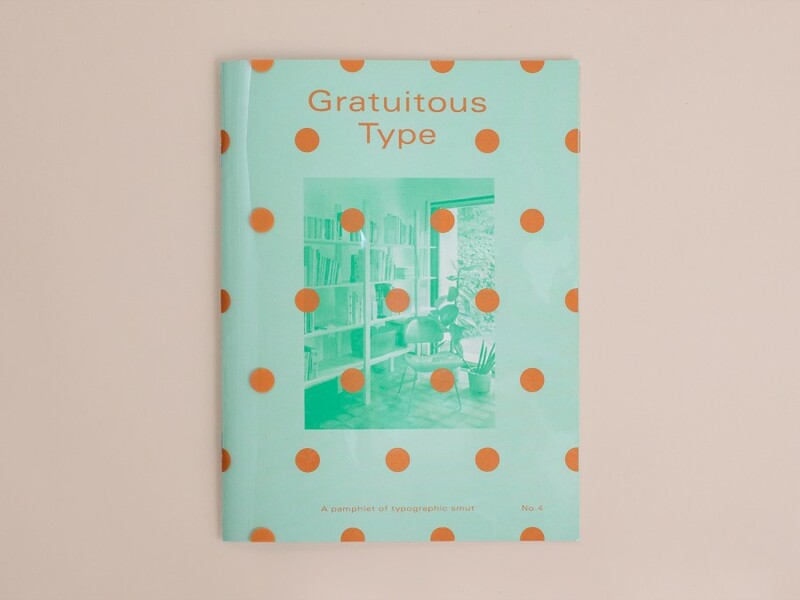 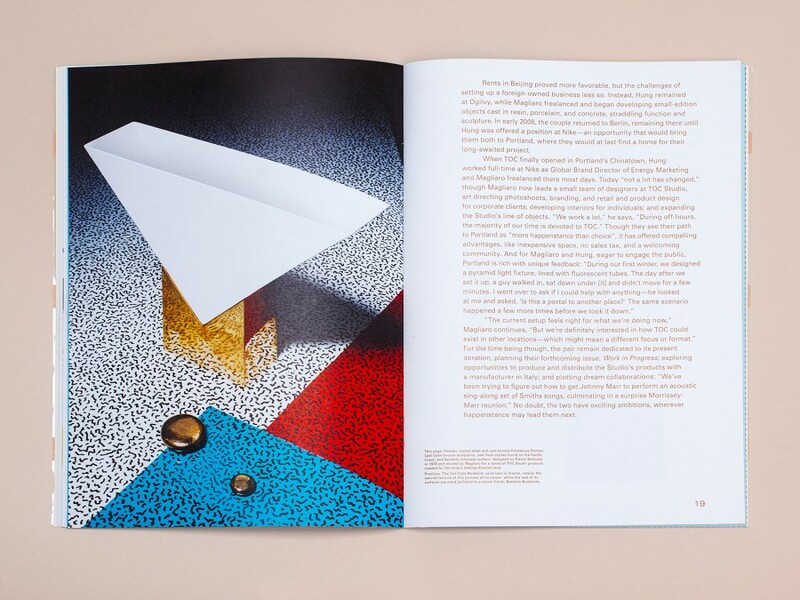 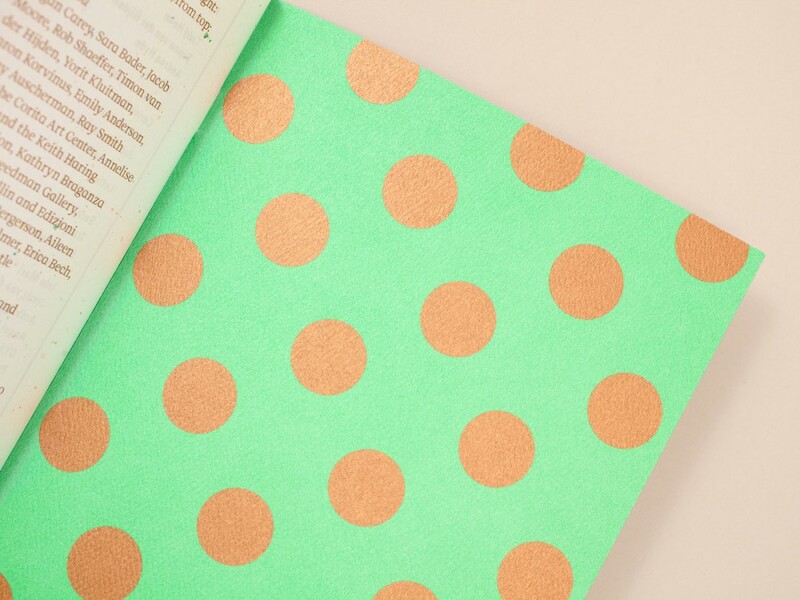 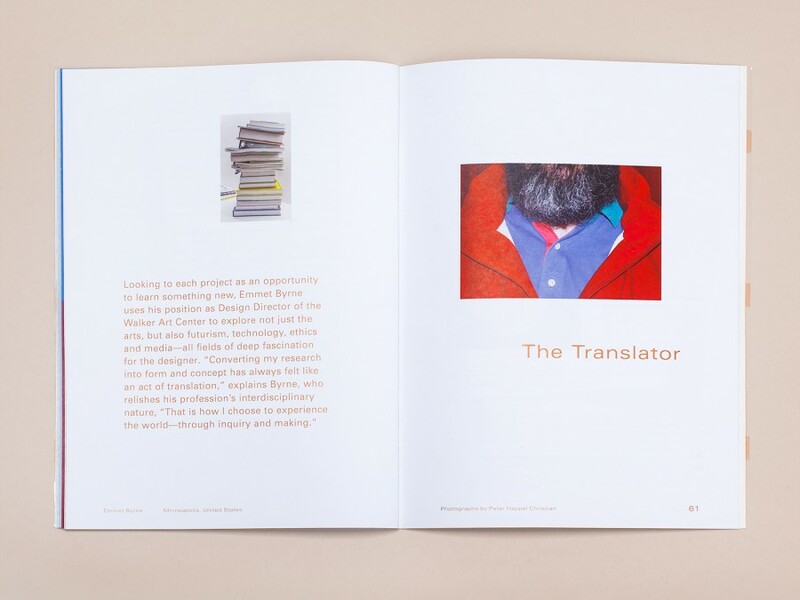 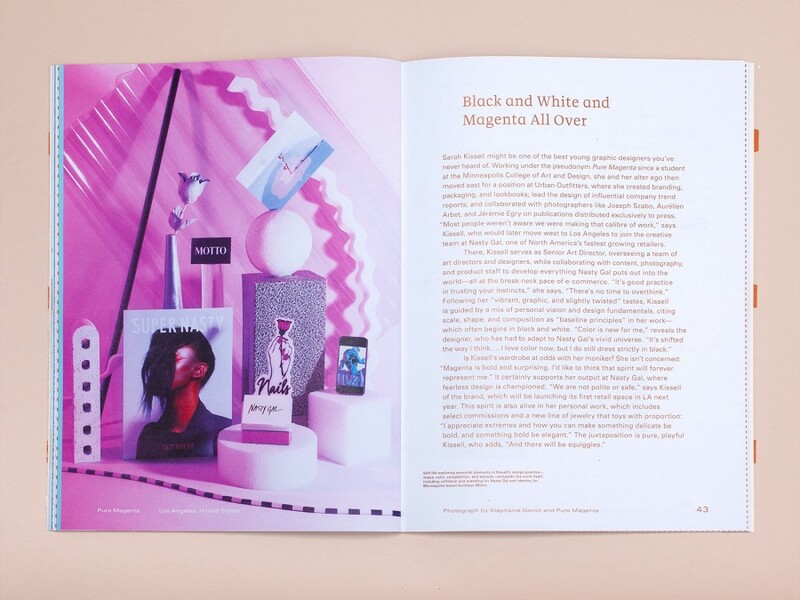 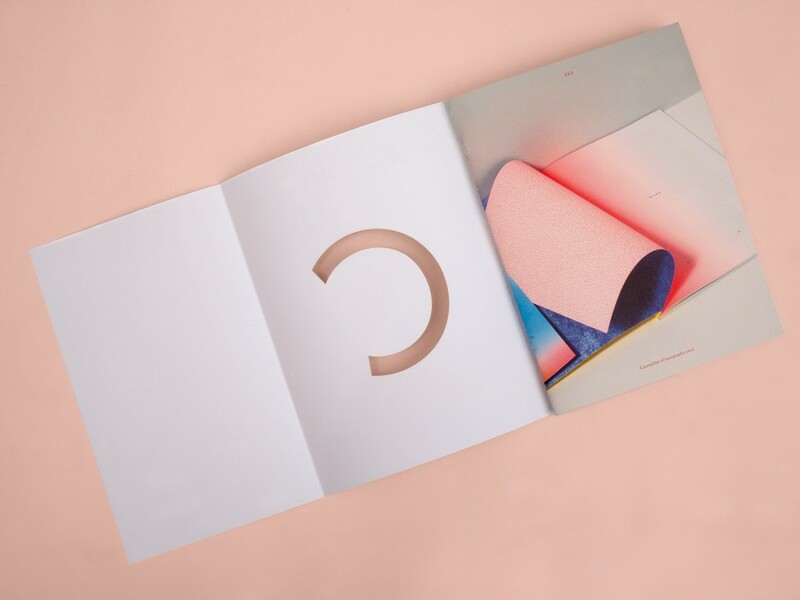 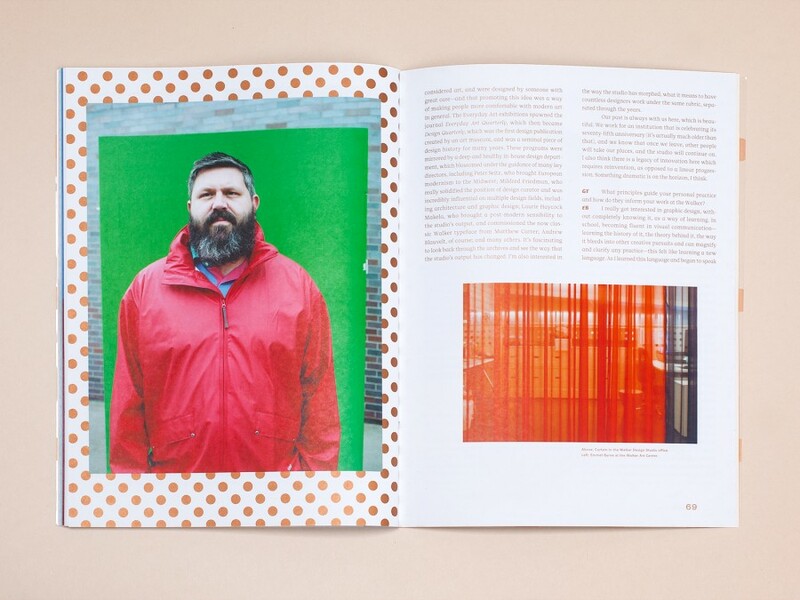 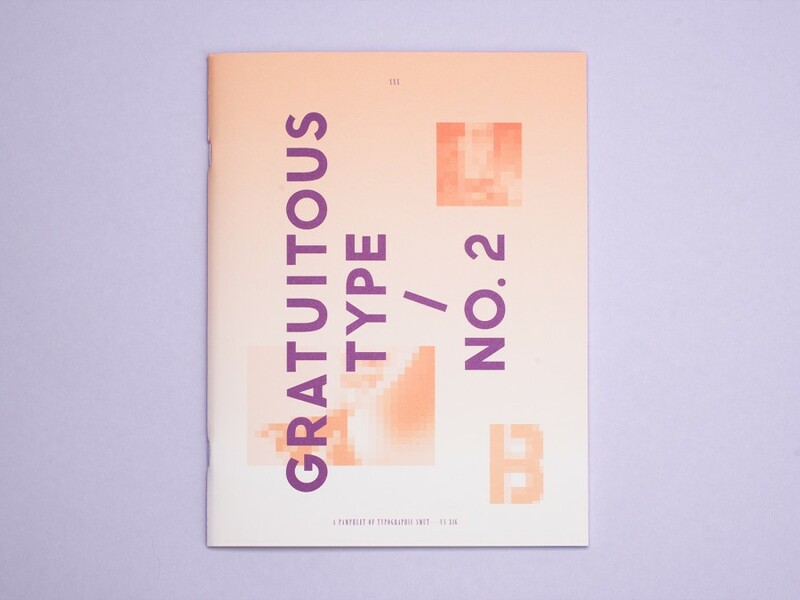 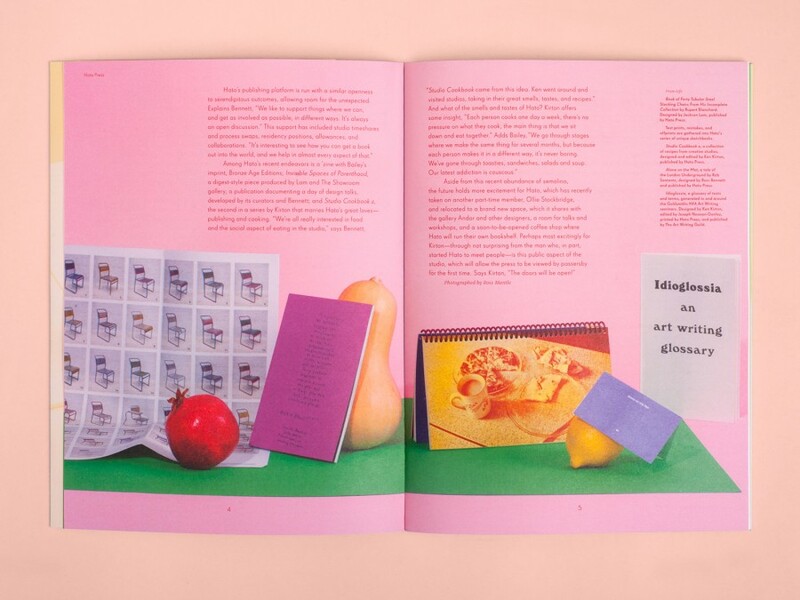 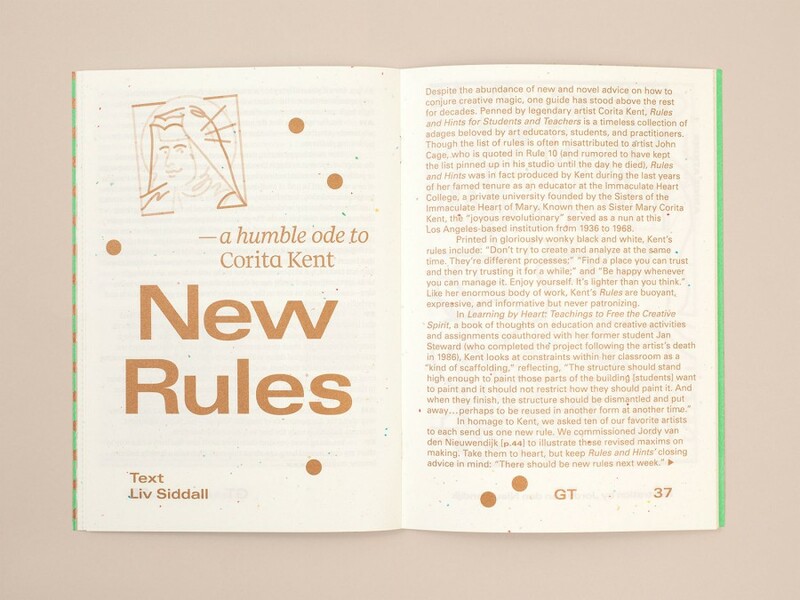 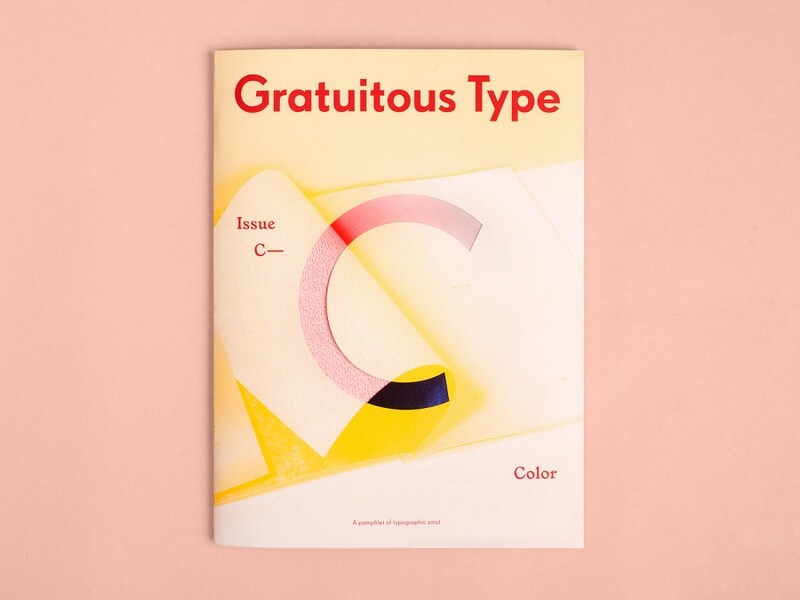 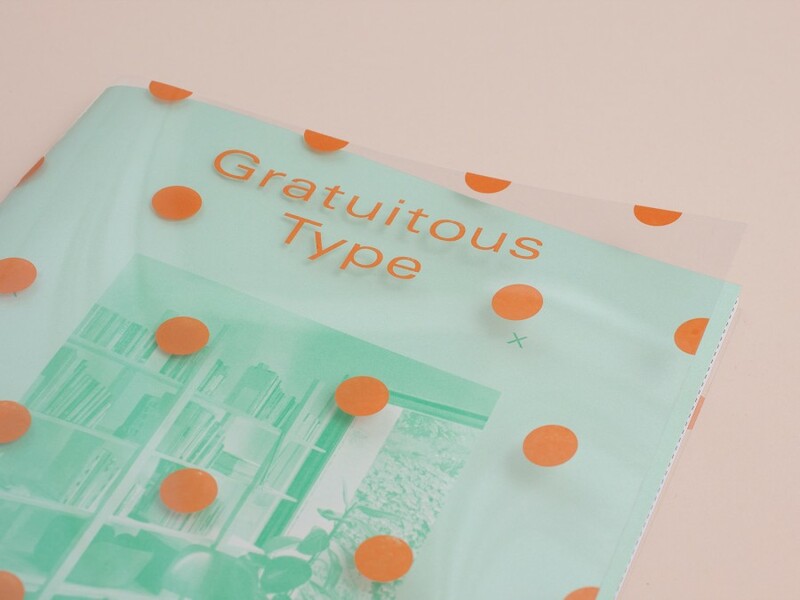 This color-themed issue includes conversations with: Bendita Gloria, Fanette Mellier, Hato Press, Hvass&Hannibal, Jordy van den Nieuwendijk, Studio Lin, Studio Newwork, as well as a centerfold insert by Marine Duroselle. 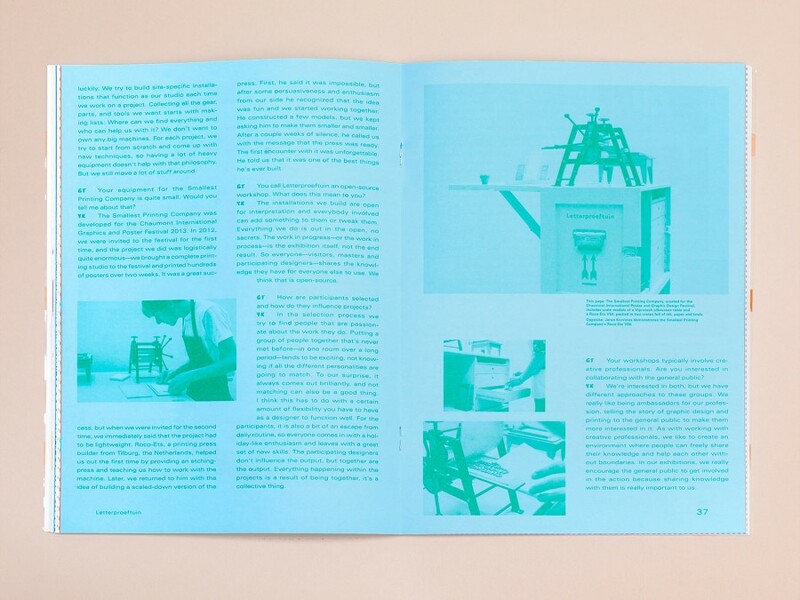 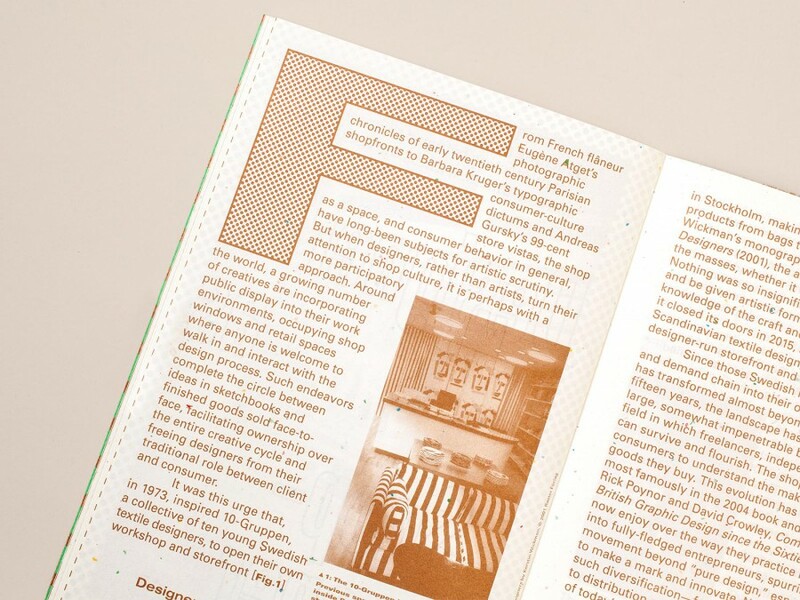 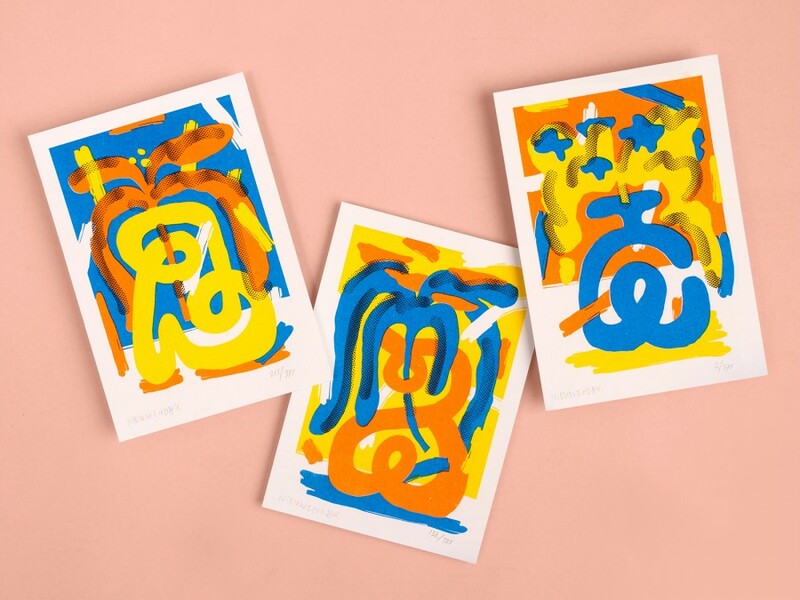 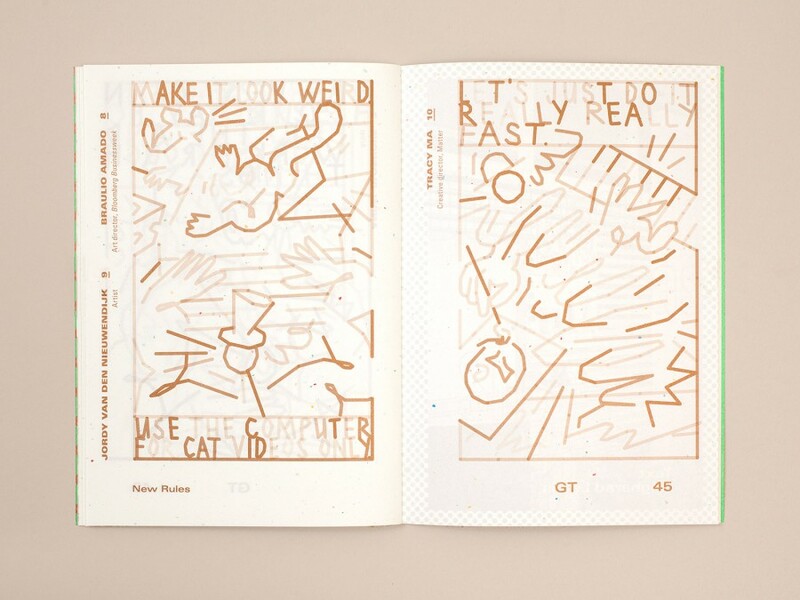 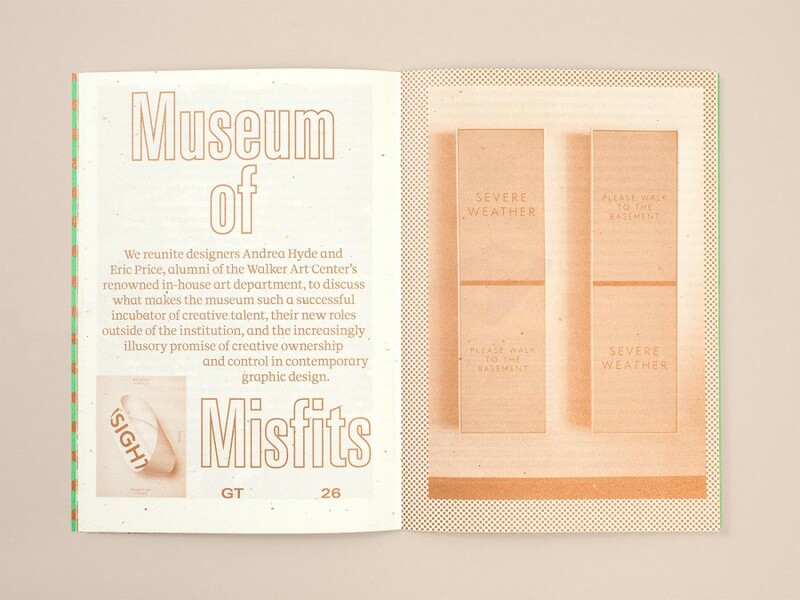 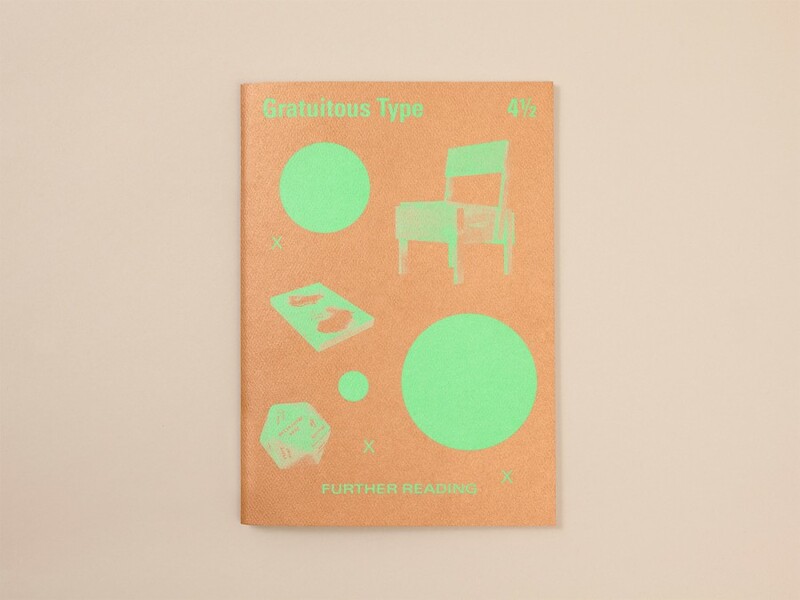 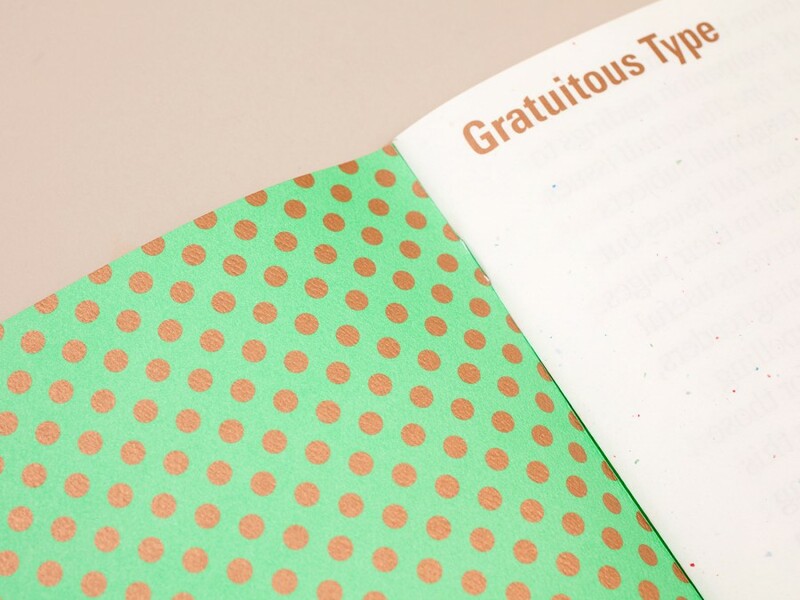 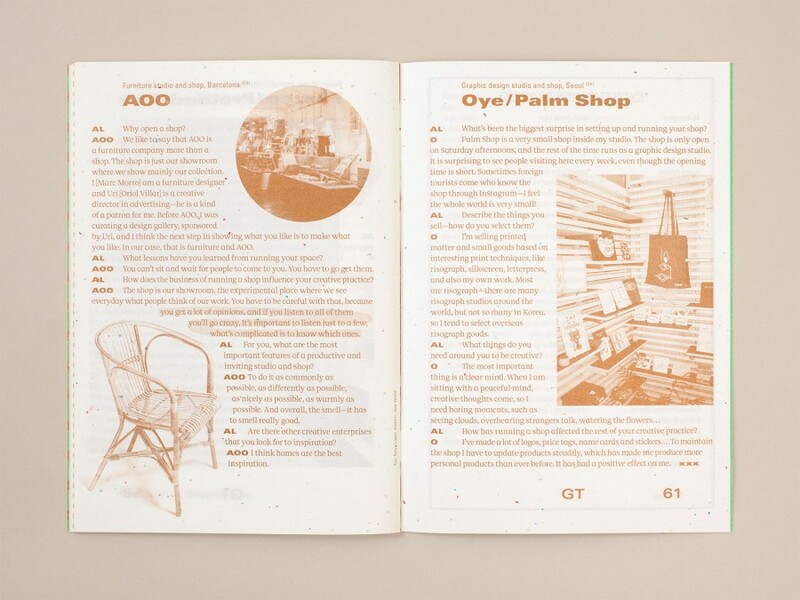 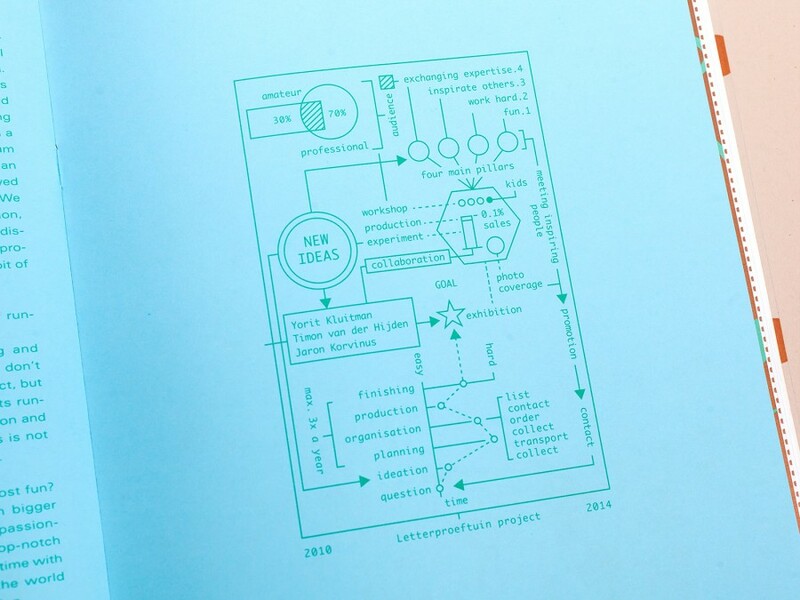 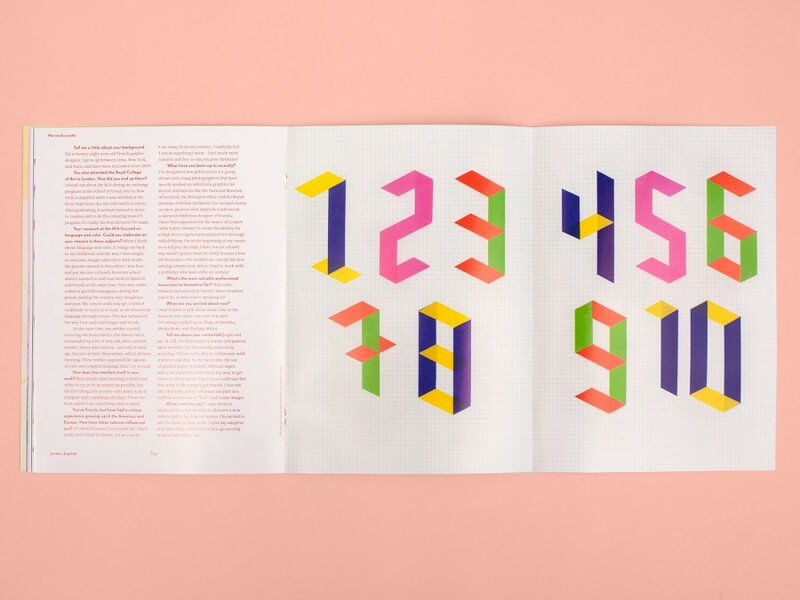 Each issue also invludes one of three risograph prints created by Jordy van den Nieuwendijk. 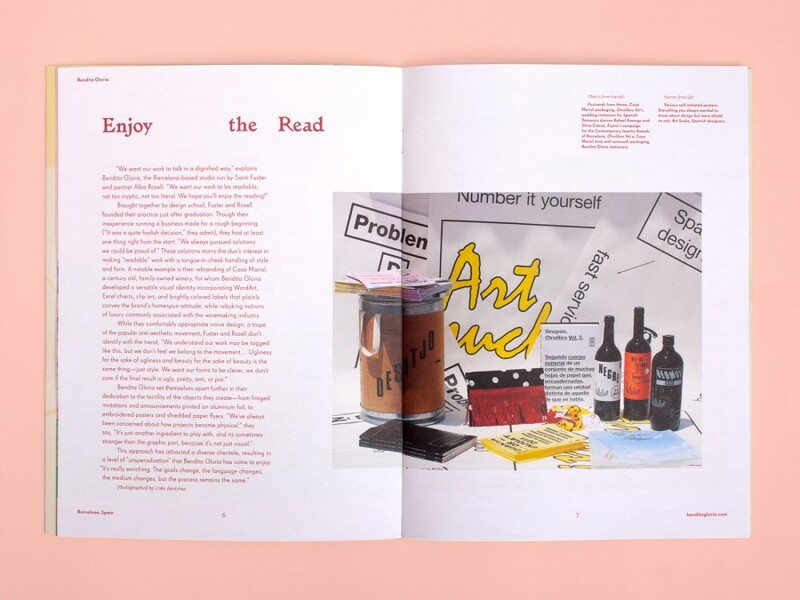 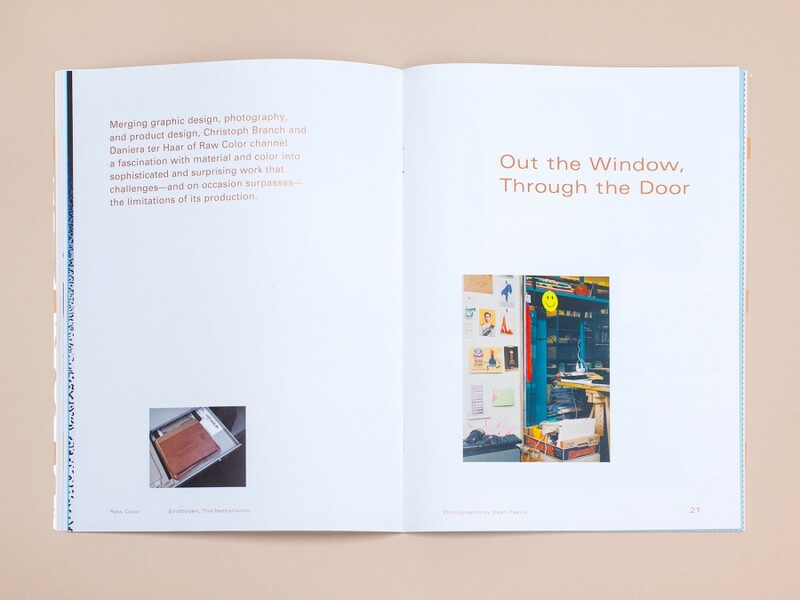 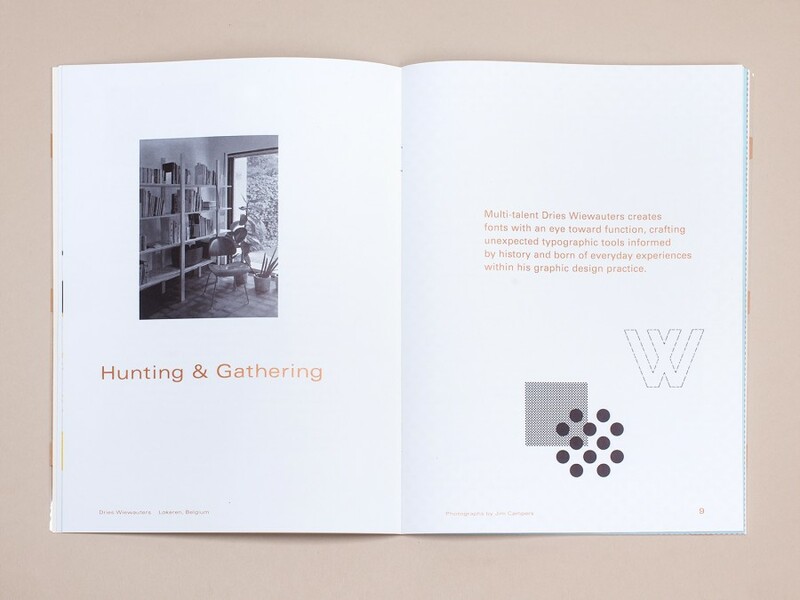 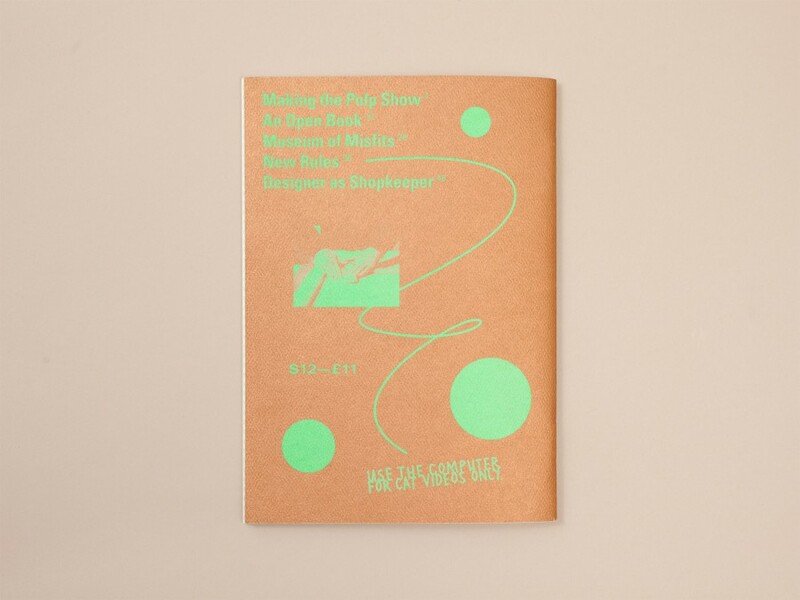 Issue 2 features conversations with: Astrid Stavro, Buffalo Zine, El Celso, Damien Gautier, Martine Mathijsen, Rob Lowe, Visual Editions, and Wayne White with a special centerfold project from Mark Pernice and a silkscreened insert created by Kathryn Murray. 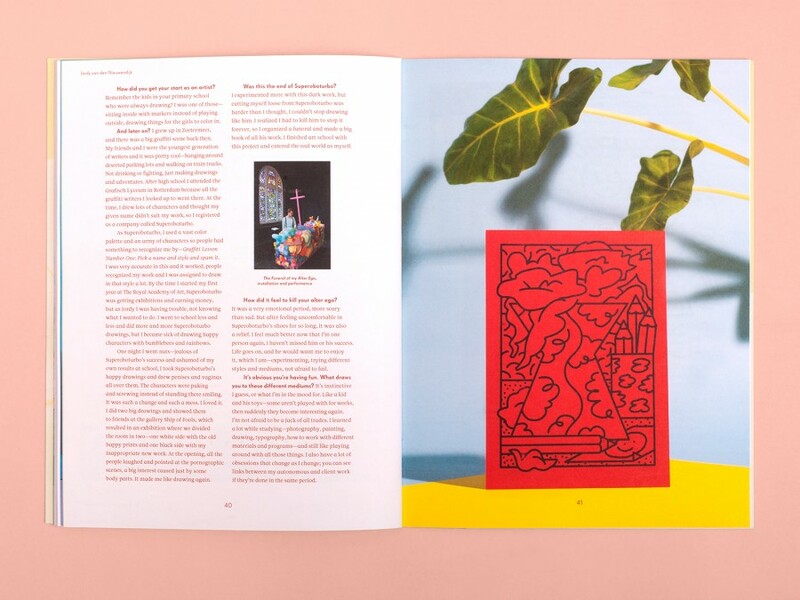 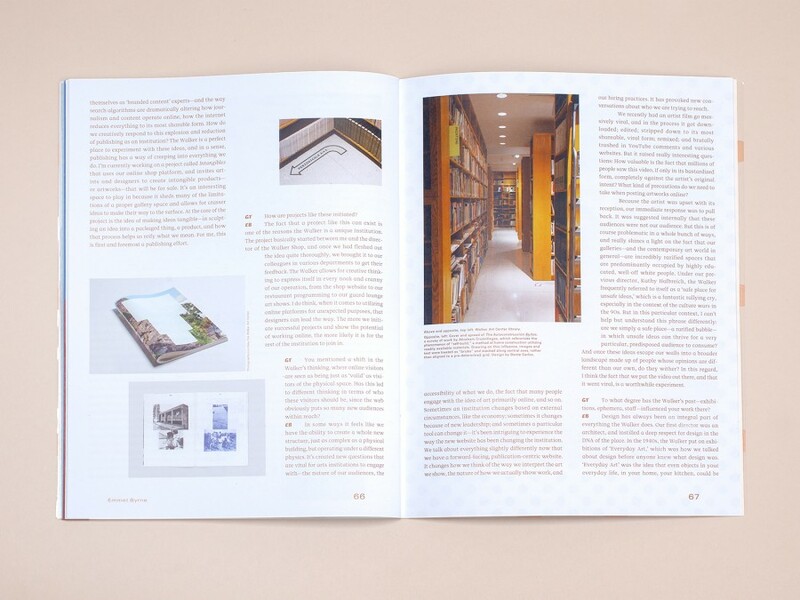 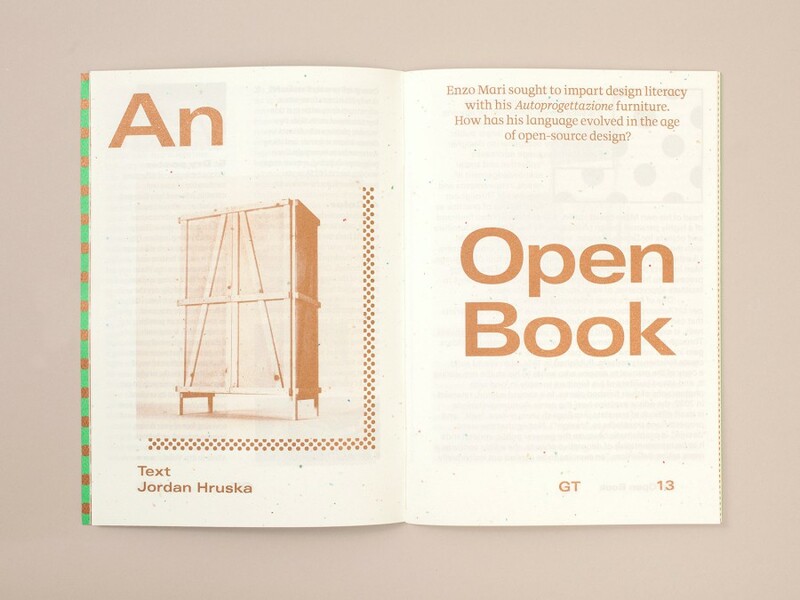 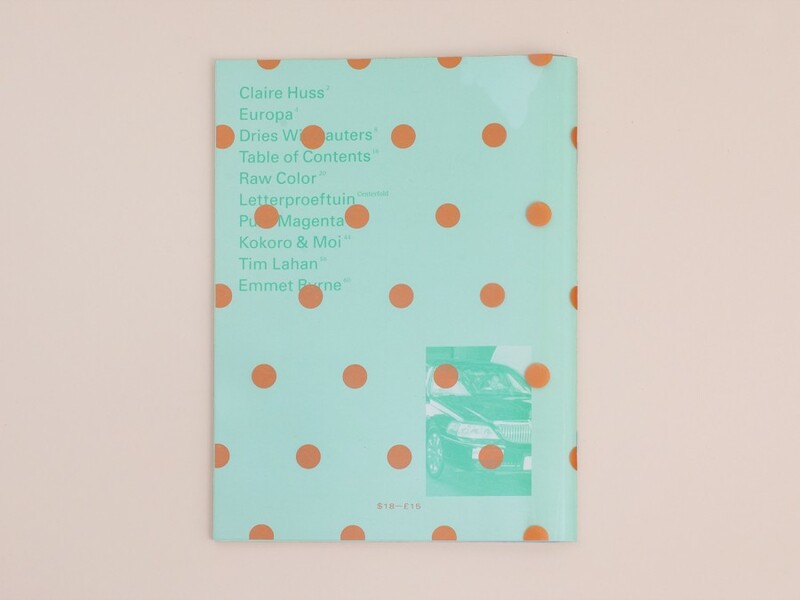 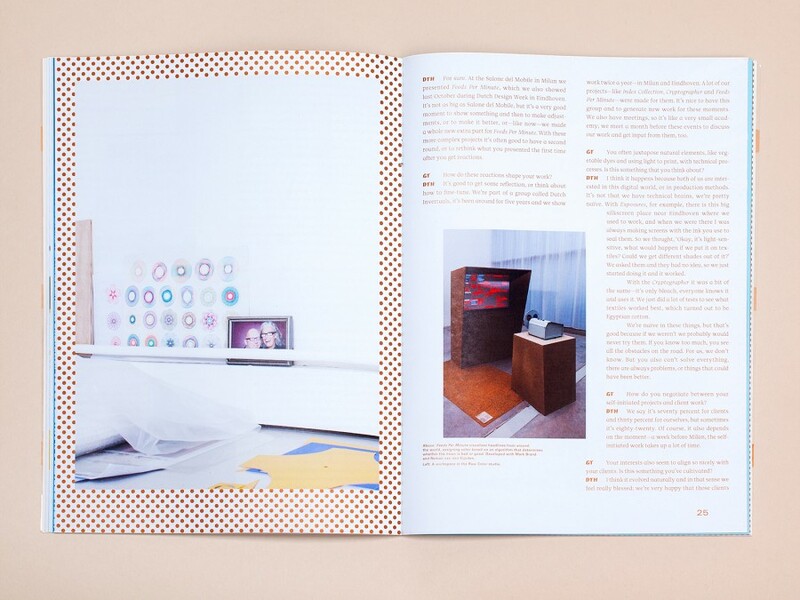 Issue 1 features Alexis Anne Mackenzie, Berlin's Buchstabenmuseum, Vienna-based Chicago... magazine, Christian Hansen, David Smith Atelier, Evelin Kasikov, and Triboro; it also includes a special fold out insert of Cuban-designed book covers from the 60s and 70s.